1. This is a regular occurrence in your car. 2. And at your desk. 3. You buy your DC in bulk, because why not? And probably save some money. 4. This is basically your worst nightmare. Seriously, how could anyone favor Diet Pepsi? 5. It's never too early to drink a Diet Coke. 7. It's something you crave ALL THE TIME. 8. Every fan knows the best way to enjoy a DC is to pour it in a glass of ice. 9. Your perfect day looks very similar to this. 10. 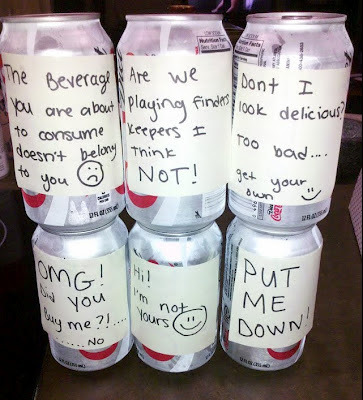 If someone tries to steal your Diet Coke from the fridge, you will riot. 11. Your trash can may or may not look like this. OK, this is a little too much Diet Coke. Sending help. 12. You can drink this soda with pretty much anything. 13. An ice-cold Diet Coke is almost more refreshing than water. 14. If you're a true fan, you can't stand the other random flavors the company produces. 15. You know that drinking with a straw from a can ruins the taste. 16. Diet Coke often serves as a mixer when you order a drink at the bar. 17. Contrary to popular belief, you don't order Diet Coke because you think it will make you skinny. 19. When your friends are going to pick up food or snacks, they know exactly what to get you. 20. You've been told numerous times how bad Diet Coke is and how much aspartame is in it. 21. And you've probably tried to quit because of it. And it is damn hard. 22. When you do, you count the days with pride. 23. And tell all your friends about it. 24. But then you relapse and binge on your favorite carbonated drink. And if you don't, more power to you!